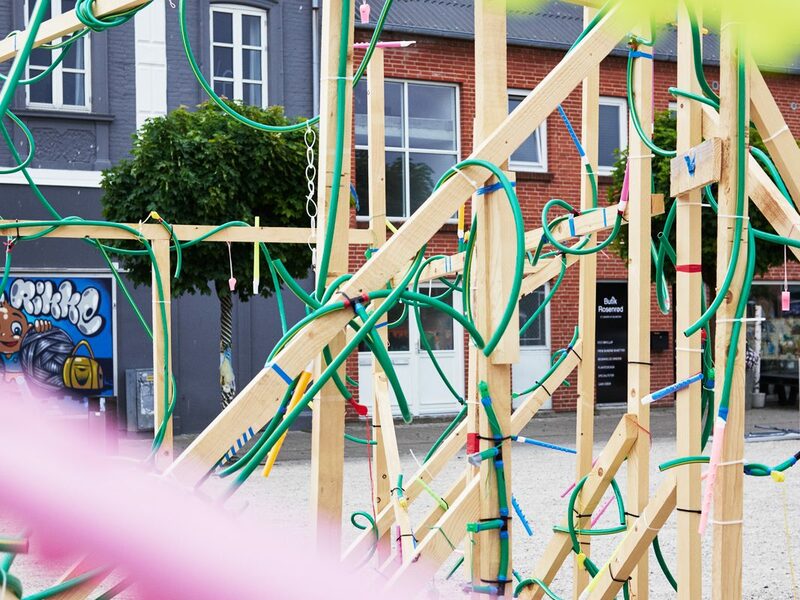 Struer Tracks is an international sound art festival taking place between august 22nd and September 7th 2019 in Struer, the City of Sound. The festival is a biannual event. At Struer Tracks you can experience sound art exhibitions created by artists from all over the world, specifically for the City of Sound. During the festival there will be sound installations in the streets and straits, in parks and open spaces as well as in buildings and in empty shop fronts around the city. This year, the festival focuses on the potential sound has to reach out and create connections between places and people. The artworks will function as small portals, connecting us to a bigger world, to the strange and unknown – to a whole new universe of sounds. There’s no admission fee, the exhibitions of the festival are free for everyone. Foto: ‘1000 Fugle’ af Nikolaj Nielsen Philipsen, Michael “Stoffer” Christensen and Troels Nøhr Holmstrøm, Struer Tracks 2017. Photographer Kathrine Uldbæk Nielsen.